Every project has more than one backstory. From the individual experiences of its collaborators prior to the beginning of work, from the spark that created the idea, within the process of creation and production itself, and in what manner the process continues, if it does, there are always stories behind the scenes. Having never collaborated in quite this way before, I found myself discovering how other creative people are inspired. When their preferred form of creative output is so different than yours, it’s doubly fascinating. Seeing how our collaborators transformed inspiration was magical. I want to tell you about it. Right after New Year’s, I was startled to receive an email from Lori whose subject line said, “Big News . 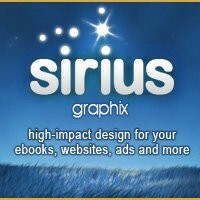 . . response needed.” Sirius Graphix was planning to promote their e-book services. As part of that, they were offering to showcase our e-book as representative of their design capabilities, and provide additional logistical assists. Holy Buckets! We didn’t even need to think about it! We were writers, not designers. Sirius could give us the visual aesthetic we coveted. Plus, there were other possibilities with this proposal. Perhaps there would be input regarding the launch process, or they might know people who would be open to reviewing the e-book. Why not? So, things began. The most evocative exchange occurred at the very beginning. Deborah Dorchak asked a simple question: So, what has been your wish list for your vision of the perfect ebook? Lori and I each responded separately, but in similar ways. And our responses were reflected back to get even more sense of what the e-book wanted to be. Just like that, the conversation started. Lori: For this book, the word of the day would be “empowerment.” I don’t like self defense books that show the horror of an attack, but rather the successes. I want those beat up by narcissists to feel like they are OK and life will get better. I want the book to be a catalyst. Does empowerment and motivation have a color? Deb: You bet it has a color 😉 Clean like a zen garden with a tasteful touch of color or texture here and there. Nothing so strong as to detract from the main focal point, but quietly enhancing it. 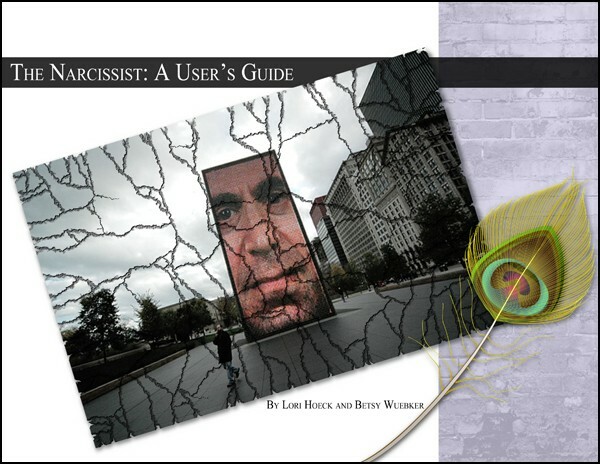 Me: I want something evocative of the peace I felt when I finally had put my narcissist at bay, but the segments in the e-book evoke stages in a narcissistic relationship. I think the scary photo we chose for the cover had the searing, dreadful quality that someone desperate for help would recognize. So somehow we want the graphic design to acknowledge the dread, but also be hopeful and promising. I further went on (as I generally do): The strength of empowerment that Lori describes is the positive counterpoint to all this yuck. But I don’t see the strength as steely or muscular. I see it more as confident and serene. Also, I think the serenity and confidence has the element of awareness. So yes, it’s very zen in that way, but I don’t know as if I want to see overtly Asian elements. I like the African greeting of “I see you.” It’s a peaceful acknowledgment in its main context. But when a narcissist knows that you “see them,” that’s different. They’ll give you a wide berth. And Wendi Kelly came back with: It sounds as if we have all lived through this experience in our own ways. . . I remember living through this time period and thinking that it was a very gray time. In fact, I even called it the Gray Zone. I am envisioning this as a gray-green color scheme. When the mock-up for the cover and interior page came, Lori and I were both stunned. The graphic elements we were seeing had captured “it” exactly. The shattered mirror effect was perfect – like we were taking a hammer to the object of a narcissist’s desire – them, of course. The peacock feather was indicative of pride gone awry. But the feather image was also beautifully colored in contrast to the gray, foreboding impression, so it seemed hopeful. The brick wall sidebar made me think of achieving a breakthrough, although Deb pointed out that she had repeated the element from the cover photograph we had already selected. “Sometimes a brick wall is merely a brick wall.” LOL! But then Wendi said, “I love the brick wall. I don’t think I can count the times I felt like I was beating my head against it.” Okay, it was time for us all to stop. The design had a life of its own. Deb kept us moving: If you’re all set with the basic layout and it looks good to you both I can start the typesetting. I’ll leave the sidebars empty in the meantime and if you want to send me a list of tweets or quotes or other stuff you’d want on them, that would be great. The finished product was done within several days, ready for final edits and tweaking. Overall, this process lasted three weeks from start to finish. I was amazed how quick the transformation had been. Pete and I have often marveled that when you tap into creative flow, you become a conduit. The best work has an element of effortlessness, as if you are a messenger rather than a crafter. You don’t mind working hard on something, because you’re producing it with clarity of purpose. And you’re attuned to the signals of what something wants to be. Purpose magically transforms process from work to joyful activity. There’s no question that producing this book was a lot of work for everyone, and my fellow collaborators may feel differently about the process than I do. But I can tell you, it’s been a great journey for me. I revisited some places I’d left behind and came back to where I am now. I was heartened by fellow travelers. We all learned separately, as well as from each other when we came together. What we could each say in our own way with our own talents has taken form. That seems magical to me. I know I’ll be on the lookout for similar magic when it presents itself again. It’s out there for everyone. And that is one of the best of all things. Wow, Betsy, what a great post to wake up to this morning! On behalf of Sirius, thank you so very much! This was a great project to work on and we enjoyed it as much as you did, if not more. .-= Deb Dorchak´s last blog ..PHP: Getting Functional =-. Hi Betsy .. you’ve all certainly been through such a process – and it was interesting to see how the front page came from your thoughts and Sirius’ interpretation of them. I’m absolutely certain it’s been a huge and wonderful learning curve – and you’ve only just begun .. because so much can come from here .. you can promote it by using these mini story decisions .. build a little promotional story behind the breaking mirror, and another for the coloured feather giving you two stories .. etc & the brick wall! .-= Hilary´s last blog .. Groundhog Day, Candlemas and Jannie the First … =-. I think that “conduit’ so aptly describes the creative flow! It’s like space and time cease to exist and there is only the joy of creating, even if it is hard work bytimes. And I just down-loaded my 29 pages!! Going to the car to get the bag of gingersnaps I bought earlier and forgot to bring in. With those and a glass of milk I am ready to settle in to read what you and Lori have created from your magic experience! Holy cow!! That was powerful. For some reason I had a picture of a narcissist in my head as some one who enjoyed their own mirrored reflection, assuming that was it. But I see it runs way way way deeper than that. Your ending sentence… “the freedom to make your own healthy associations is a gift we all have.” Boy, what a gift indeed! I feel a great weight has been lifted off me. And I thought I would not really be getting so much out of this for myself, but for my daughter’s sake. Boy was I wrong! Thank you so much. I mean — I really can’t thank you enough. A very positive review from me indeed on your project. .-= Jannie Funster´s last blog .. Gratitude =-. Your post put it all together so wonderfully! We moved along so fast, I’d not taken the time to go back over everything. Thank you. Yes, it’s been an amazing journey. The design is gorgeous! And the book is really good. Having read your definition and examples of “narcissist,” I’d guess that my mother had narcissistic tendencies, but that she probably had other, stronger issues. My ex doesn’t exactly fit the profile either. In fact, my therapist and I found the DSM diagnostic criteria for sociopath to fit better. No fooling. There is a person I’ve experienced peripherally who fits the description of narcissist to a T, and fortunately I figured out that I could never make a dent in their crazy worldview and stopped trying. There is a lot of anger in this book — for one of you, it seems to me, this is all very fresh, and I feel very sad about that. Just the fact of focusing on the narcissist, instead of on the codependent, tells me the process is still ongoing. Being a codependent, which I was for many years, is a very crippled way to live, but I had always defined the other person as the cripple. By devoting my time to “taking care of” someone else’s craziness and the problems that resulted from it, I gave up living my own life and failed to take care of my own problems. It’s been 22 years since my divorce, and I now have a life, friends of my own, and those years seem far way. I still struggle at times with codependency, which I see as the real danger. I think the book is great in following the progression from setting limits to whether to leave (how can you stay and survive? ), and how to get the focus on your own life. Great job! .-= Dot´s last blog ..Comment on Weather Update by Momisodes =-. Hi Deb – My pleasure. I was delighted by and fascinated with the process, obviously, but even more so with the outcome. Your gifts are truly evident. Thanks go to you! Hi Hilary – Thank you! It was a fun learning curve to be sure. I don’t know about expanding on the pieces of it. Maybe down the road. It’s fun to think about though, thanks. Hi Jannie – I’m glad you understood what I meant with the conduit image. It seems to me that I have to get out of the way of the best stuff and let it flow. I’ve heard other people describe it as a rush, or as output coming tumbling out. I bet you get that when you’re deep in the groove of creating with your music and lyrics. I’m glad you found useful insights in the book. It’s not so much about labeling a person but labeling behavior, isn’t it? And it’s about deciding for yourself what is acceptable, and in the case of parents, guiding a child in asserting a confident outlook. We really appreciate your feedback, thank you! Hi Dot – I know you’ve done a lot of personal work on this subject so I was looking forward to your thoughts. I’m so appreciative that you recognized we’re not in the diagnostics business – the disclaimer makes that clear – but rather the behavior identification business here. It really doesn’t matter whether that’s an alligator or a crocodile if we’re on the lunch menu, right? What we need to know is that it will try to bite, how to avoid it, and what to do to treat a wound. You’re even more right that the process of growing away from the dependency has to start with responsibility for ourselves once the realization is made. There is great comfort in licking our wounds and fussing over how we’ve been victimized, and unfortunately, it is tempting to stay in that place. Lots of people do. We felt it was more important that the book focus on what you can do as opposed to things that can’t be changed. It is much more difficult taking the steps, one after the other, day after day, to move on knowing that your buttons are still there to be pushed, or that something may trigger a reaction after which you need to work hard to stay on the better path. So if someone wants to stay stuck in a role, whether it’s victim or predator, and not take responsibility for themselves, this book is not for them. I won’t speak for Lori, or anyone for that matter except for myself, on the subject of anger. But I’m glad you brought it up. People don’t want to talk about being angry, and the big thing is always, “You have to let it go.” I think a more realistic approach is acknowledgment and acceptance. Yes, I’m angry. More so on some days than others. Much less now than I used to be. When I say hello to my own anger, it tends to subside. On the other hand, when I allow it the upper hand or deny it, it escalates. I believe the anger will always be, to whatever degree. It just is. And that has to be okay. Hi Lori – I liked your description of your husband’s reaction. Pete said when he printed the e-book he could’ve sworn the feathers were real as the first page emerged. Pretty cool! Yes, the amazing journey, but only the beginning. I appreciated reading about how this all came together. Having formerly worked in advertising I’ve been a part of a similar process: seeing beginner comps and draft copy; then seeing more real-life mock-ups and finally, the finished product. It’s always been exciting to see the transformation and to be a part of the team. Such a great sense of satisfaction when it’s all done. Everyone has done a terrific job on this. .-= Davina´s last blog .. Book Review for “The Narcissist: A User’s Guide” =-. Hi Davina – Thank you. It is exciting to be part of a team, but honestly, seeing the graphic element evolve and then strategizing gave me a new appreciation for the whole of the process, which is much bigger than simply the writing. Thank you, too, for your wonderful review. The conversation is alive over at http://www.shadesofcrimson.com/ ! .-= Dot´s last blog ..Comment on The Blizzard, Day 2 by Patricia =-. .-= Patricia´s last blog .. Making Valentines: 3 Hearts Swan =-. Hi Patricia – Thank you! You’re right – tapping into creative flow may be our best opportunity to experience energy that is pure and true.